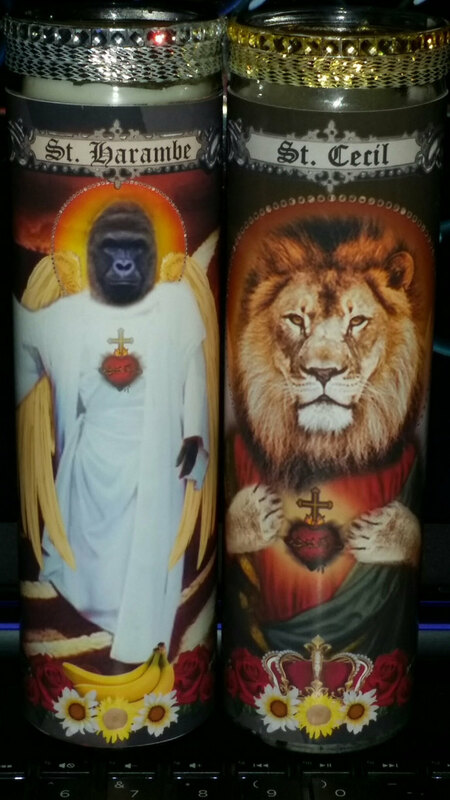 Harambe Celebrity Prayer Candle - a tribute - 8" tall with unscented white wax with gold trim and bling (colors may vary). Select how you want his name to appear on candle. So tragic that a creature such as this had to die for what was preventable. 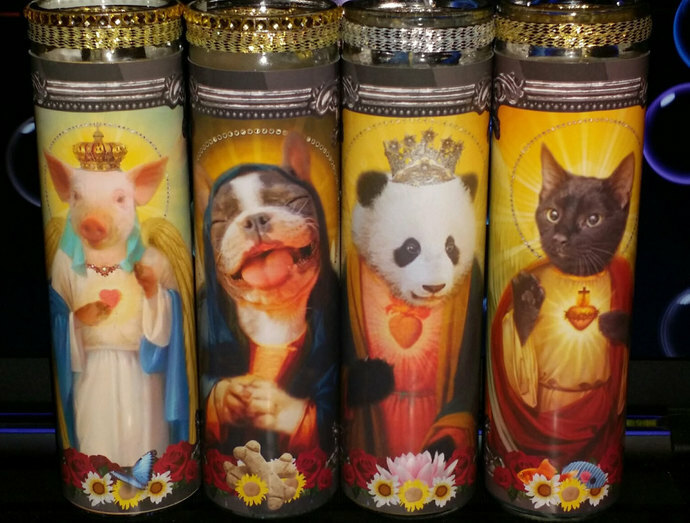 When you purchase this candle a 20% percent will be donated to the World Wildlife Fund - where animals are kept in reserves and conservation lands much like their own habitat and not put on display in confinement. Species in danger of extinction should not be held captive in zoos, where tragedies are bound to happen to animals for just being who they are, unless they are unable to survive on their own. 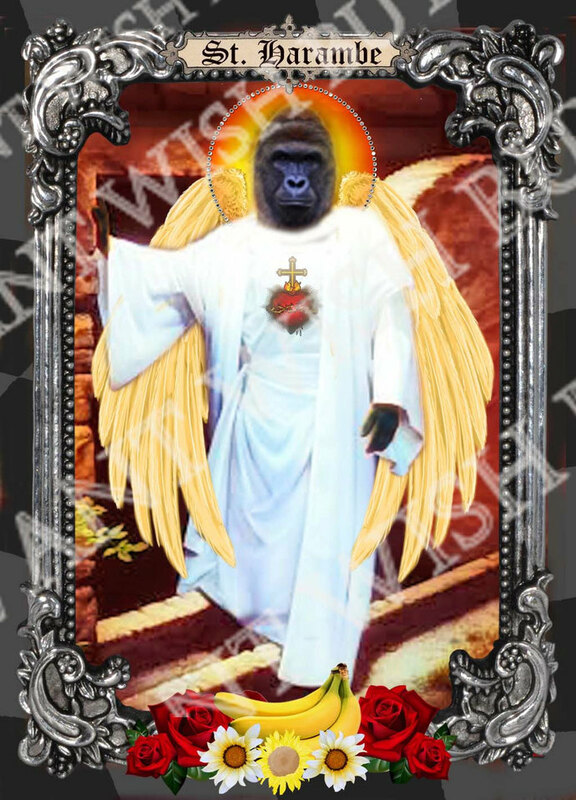 Also have Harambe with Cecil as a set of 2 and Harambe as a set with Cecil the Lion and Pinky, the Flamingo as a set of 3 - all so tragically cut down in the prime of their lives (pictured in another listing). 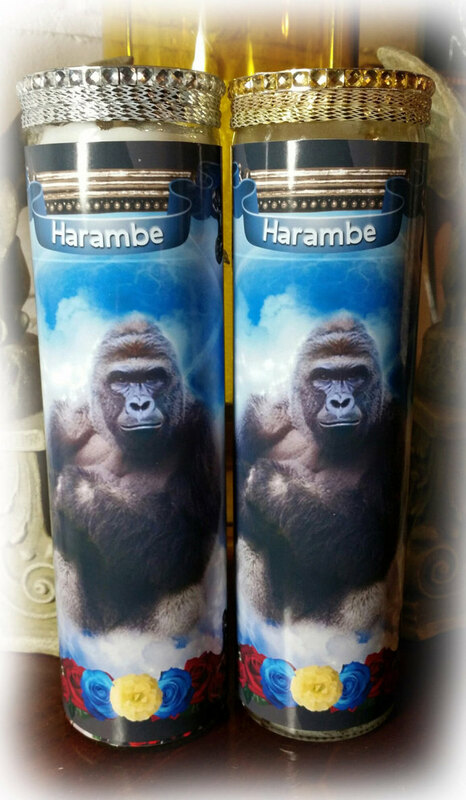 Also have Memorial Candle of Harambe - (pictured for convenience). Choose if you want bling on your candle or not....bling and ribbon colors are traditionally gold and silver, but sometimes have other colors as well --- would only use the colors that coordinate well with the candle. Bling is also wonderful and will use that coordinates with the candle as well. Colors vary. Thank you for reading this and supporting animals like Harambe, Pinky, and Cecil.